Hello, and a very warm welcome to this latest issue of the MIS Online Bulletin. With the hectic tour schedule of December done and the band’s performance on new year’s eve also becoming a distant memory we’re now at that time the year where news is rather on the lean side. This week, our Live Intensified section goes back to the band’s performance on new year’s eve. If you missed the coverage on BBC1 then you’ll want to check out the links included there. The feature also includes fan footage of the two track performed before the live feed was broadcast, and show what went on in the venue when the clock struck midnight and the BBC moved to the London fireworks. We were only a couple of weeks into the new year and already new dates being added were being added to the Showtimes section of the MIS. 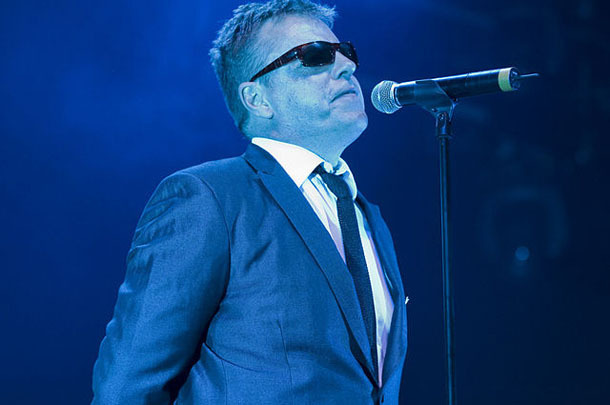 This week, we brought news of four new May dates to Suggs’ 2014 tour, and also details of the first Near Jazz Experience gig of the year. We had no doubt that this section would receive numerous additions over the coming year so we urged you to keep an eye on it. On Wednesday 15th January we suggested you logged in to to www.koastradio.co.uk as from 8pm long time MIS subscriber Lee Swandale would be staging a takeover. One not to miss! Fresh from his skanking audience appearance on Jool Holland’s Hootenanny, Lee would be hosting the long running Koast Train Ska Radio show for just one week. Lee, the web site developer and maintainer of Crunch! Online would be speaking to Lee Thompson on the phone. We were also promised a smattering of Crunch! 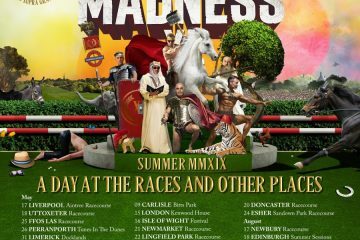 and Madness, plus an exclusive track. Something live from the Ska orchestra was promised! Elsewhere in this issue we featured “A Magic Update”, where Magic Brothers Nick and Woody Woodgate gave us the latest news on their forthcoming album project. The drums had now been recorded. Just everything else to go! The proposed name for the next album was “Magic Train”. Moving on, and it was on to part 3 of our “Lookback at 2013”. This time we shot through the months of September to December, and highlighted some of the highs and lows of the final third of the year. Lee Thompson brought this week’s issue of the MIS to a close by explaining that a young lad who had recently been brought on stage at the end of a Madness concert was called Johnny. He’d told his school teacher that he wanted to meet Lee Thomson and somehow it got arranged! We got this issue off the starting blocks with the third and final part of our lookback at 2008. This week we covered the last four months of the year, completing out overview of the highs and lows of the year gone by. Next, and those of you who’d attended the Christmas gigs would have no doubt spotted the projector screens detailing Woody’s entry into the 2009 London Marathon. Following that we’d done some digging and had managed to find his JustGiving page meaning you now had no excuse for not sponsoring him. What we didn’t realise until the issue went out what that the sponsorship page was for a previous year’s London Marathon fundraiser, and so a swift mini issue followed where we apologized and then promised to give you the updated sponsorship information as soon as we had it. 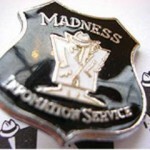 Moving on, and in the next article we featured transcripts of two chats we originally had with Thommo at a mid year event that the band used to showcase a whole set of new Madness tracks. The first transcript took place at The Old Ship after the rehearsal the day and before the first gig. The second interview took place the following day when Jon met up with Lee again, this time outside The Hackney Empire. 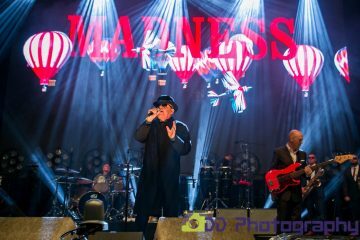 It was Madness Central news next as we took a look at the efforts of Madness fan Lee Buckley who had been keeping herself busy over the past few months and was now ready to reveal a mass of additions to the “In Print” section of their web site. The purpose of the ‘In Print’ section was for it to become the definite online archive of all Madness and Madness related magazine and newspaper articles that the band had either appeared in through interviews, or had simply been mentioned in through such things as gig reviews. Sadly, the site has long since closed, which is real shame as it was a wonderful resource of Madness related information. We brought this issue to a close with the news that the next gig for North London band MOT would be taking place at Viva Viva on the High Street in Hornsey on Wednesday 14th January. It seemed as if things had started to pick up following the traditional quiet spell we usually experienced during the Christmas season. Chris Wardell contacted us with news on his latest project, entitled Backdoor Promotions. 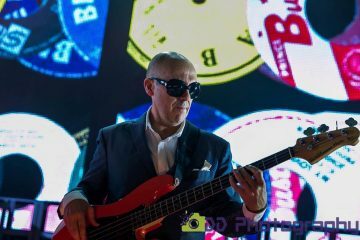 Run from his home in Darlington, the idea behind this recently formed company was to help and promote ska music in the north east of England, by getting artists record reviews and gigs in the region. 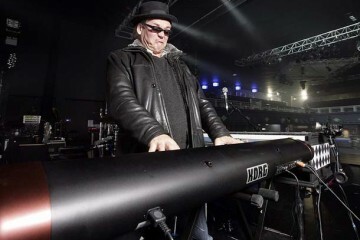 Over the years Chris has helped the likes of Bad Manners, Chas Smash, The Selecter, Butterfield 8 and Desmond Dekker to name but a few, with concerts and press, so you could be sure that the company was in a pair of very experienced hands. Next-up we had World Darts news in from MIS subscriber Darren Balsden. What did this have to do with Madness? Well, it turned out that darts player Darryl Fitton asked the band if it was OK for him to make his “Oche Entrance” to “One Step Beyond” and wear one of the Madness logos on his shirt at the World Championships. Chris wrote back to say he didn’t mind, but (tongue in cheek?) advised him not to tell the rest of the band in case they wanted money! The Daily Mirror reported his antics of doing a “Madness dance” to the oche and wearing ray band shades. Reports that he plans to leave the stage to “Yesterday’s Men” if he got knocked out were unconfirmed. With the previous year still less than two weeks ago, we continued with our review of 2003, with the second part of our annual lookback. As testament to how much had gone on during that year, the second part of our annual review was a packed piece of writing. Always one to have his finger on the pulse, Andrew Langmead had sent out the word only a few days earlier, to let fellow fans know that a rare showing of Feargal Sharkey on Top of The Pops would be shown on Top of The Pops 2. What was unusual about this was that Madness joined him on stage for the performance. Five members of the band were on stage, with Carl in ‘Grey Day’ mirror like shades singing the backing vocals. 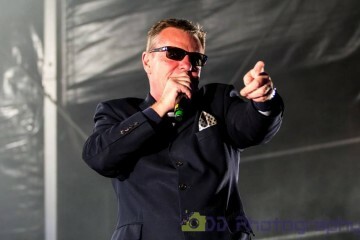 Suggs wasn’t there, and Mike had left the band by this time (1984). Lee could be found in the 4-piece brass section. Continuing on the Feargal related note was news that Mr. Sharkey had been appointed the first government music ‘czar’. The 44-year-old Londonderry man had been appointed head of the Government’s Live Music Forum, set up to safeguard the future of live music in England and Wales. 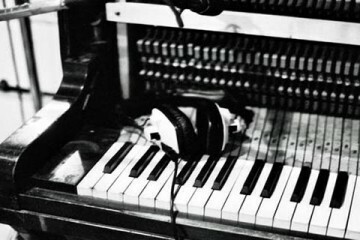 Musicians and the Government had been at loggerheads over new licensing legislation set to come into effect in England and Wales in 2005. Critics said the new legislation would have a devastating impact on the small venue live music scene. Currently, up to two people can perform in a bar without a licence. Under the new legislation every live performance would have to be licensed. Next-up, we had a transcription of the Madness classic “Don’t Quote me on That”. 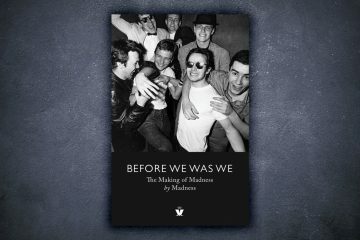 Nothing out of the ordinary there, you may think, but what was different about this was that this version had originally aired as part of a Madness session from 1980, and featured different lyrics to the final official release. 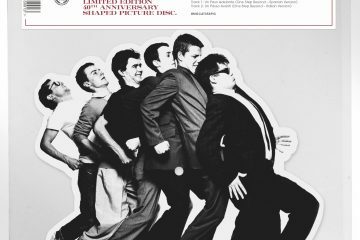 We finished off this issue with a short article from Graeme Sharpe who, thanks to the aid of an out-of-print book entitled “The Complete Radio 1 Recordings”, was able to detail all of the ‘sessions’ appearances the band had made on radio 1 over the years. 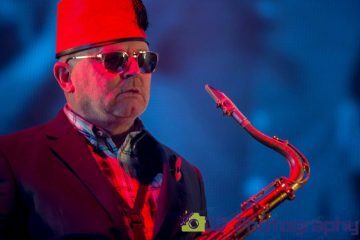 Graeme commented how great it would be if the sessions that were previously unreleased were given an official release, as other bands had already had their sessions re-mastered and sold as official releases. “Happy New Year to all our fans. Everybody who’s watching. We’re almost a fortnight into 2019, but there may be many of you out there who failed to catch Madness’ new year’s eve / day performances on BBC1 in the UK. Thanks to the kind efforts of a few individuals, not only can you now watch these performances for yourself but you can also see what songs were performed to the assembled crowd before the live feed began, and what went on in Central Hall as the clock struck midnight. One of the great things about Specialized is the support we receive from our ambassadors. One is Madness’ Lee Thompson and the other is Nick Welsh aka King Hammond. One of the highlights now at the big weekend is the Q & A sessions and November 2018 saw these 2 come together in a great session. We’ve footage from another great session with the lovely Susan Cadogan to come but here is In Conversation with Lee Thompson. Shot by Mick Jenner.